The survey was performed in 2013 and 2014 by the Center of Tourism and Events, center of studies and researches of São Paulo Turismo, in partnership with USP. The place to take the undergraduation degree may be a concern of many young people that have just concluded the high school and wish to specialize in an area. 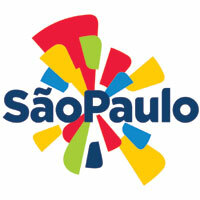 For foreigners in university, São Paulo appears as an excellent destination for studies. These are the results of the profile surveys of the students in the city of São Paulo, prepared by the Center of Tourism and Events, center of studies and researches of São Paulo Turismo (SPTuris, municipal company of tourism and events) in partnership with the University of São Paulo (USP). According to the performed survey, within the period from November to December of 2014, with more than 300 foreigner students at USP, tourists who come to capital to study in the most reputable institution of the country, the University of São Paulo (USP), are mainly from Colombia (14.33%), France (12.05%) and Mexico (10.10%). The most part of the students aged between 18 to 24 years old (69.31%), and take average courses duration, from six to one year (57.49%). According to the research, the decisive factor to choose the institution is the reputation the University has, followed by the professors’ suggestion. The research also asked students what they like to do in their spare time, outside the classroom. The main answers were: to visit parks and green areas: Ibirapuera Park is the most visited (26.28%); nightlife in bars (24.09%); movies (10.95%); take the opportunity to get to know the city´s food, which received a positive assessment by 46.53% of the students; go shopping, after all, 45.64% of the interviewees assessed the options the capital offers as good; visit exhibitions and museums, go to concerts and go for a walk in the metropolis. Another relevant data of the survey refers to the average monthly expense the students have in the city, and the expense with accommodation is the most representative: BRL 888.72. In 2013, the survey performed with 1,386 foreigner students, being 673 enrolled with undergraduation courses and 713 with graduate courses. The survey indicated that São Paulo is the city which receive the highest number of foreigner students, considering tourists motivated by studies at USP. The city is followed by São Carlos, Ribeirão Preto, Piracicaba, Pirassununga, Bauru and Lorena. Students come from 24 different countries, being the most part from Europe (49%) and Latin America (41%). In the survey, approximately 75% of the interviewees assessed that the city is great or good to go shopping and leisure. Among the most visited tourist attractions there were Ibirapuera Park (71%), Avenida Paulista (41%), São Paulo Museum of Art (Masp) ( 31%) and Vila Madalena (19%). In the spare time, students visit museums (54%), parks and green areas (54%) and enjoy the food (49%) and the nightlife (48%).